The last time I posted a sound file it was from Prague via New York and I thought it benefitted from a bit of intervention in the form of added echo. This one has its origins in Romania but needs no effects. 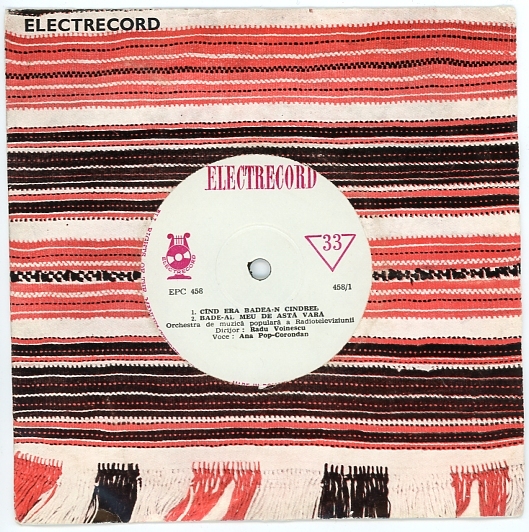 Recorded some time in the 60s (I think) and put out on the state record label Electrecord this seems to be a folk song from the Cindrel Mountains and is sung by Ana Pop-Corondan. There are 4 tracks on the record but the others are swamped in orchestration and sound banal in comparison to the sparse arrangement of this song. Listening to it, the music jumped out at me as something quite unlike anything else I have heard. 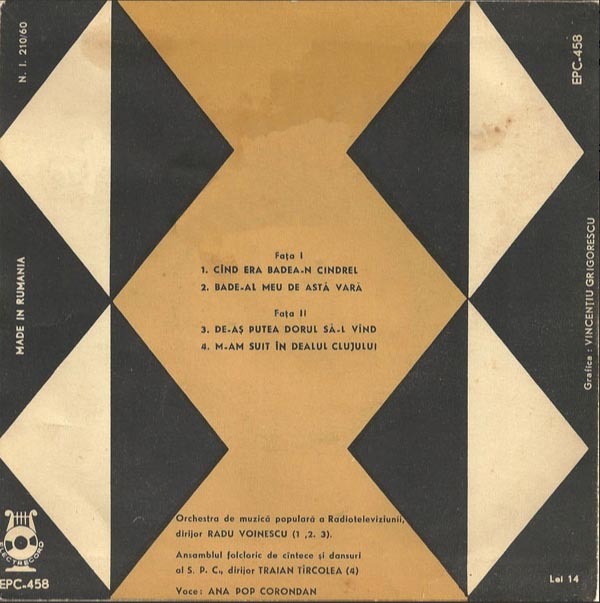 The title (Cînd Era Badea-n Cindrel) comes out in various forms using online translation tools and none of them make sense: ‘He was Uncle-n Cindrel’, ‘When was Badea-n Cindrel’ and ‘When was B-n Cindrel’. 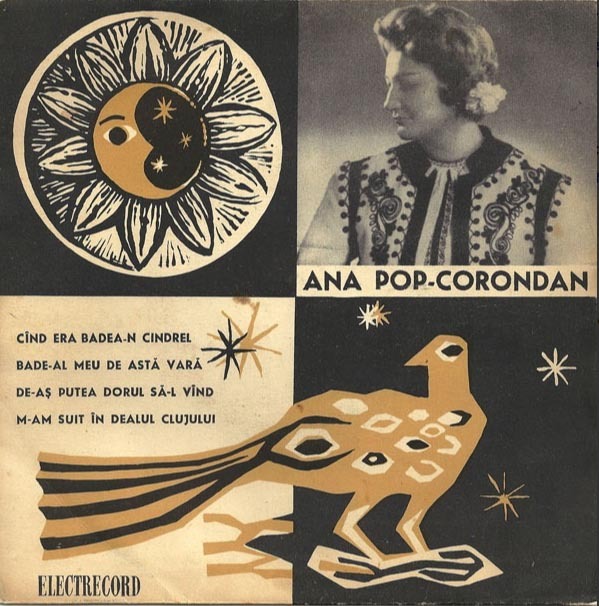 Ana Pop-Corondan died in 2005 and there is not much information about her on the net.